We pride our property in having a little something for everyone! Take a dip in one of three pools located at Bass Point Resort! 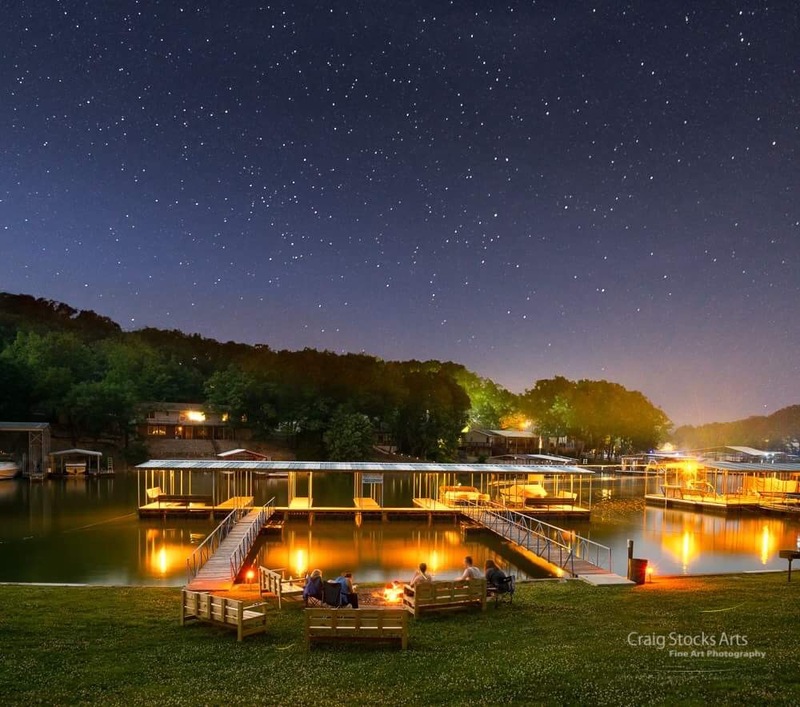 The lower pool is said to be the first in-ground pool at the Lake of the Ozarks and sits adjacent to the kiddie pool. The indoor/outdoor pool features a unique swim-thru from the inside to the outside! All pools, including the indoor pool, are open for seasonal use from late May to mid-September. 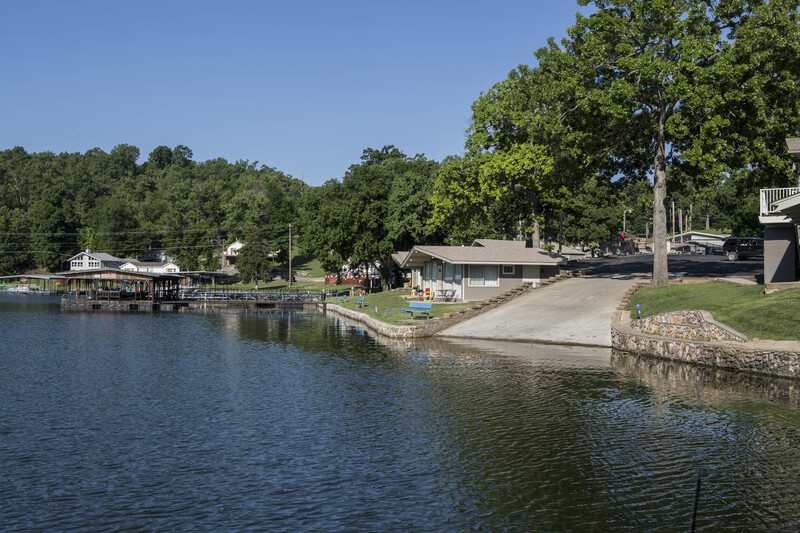 Rebuilt in 2016, our boat ramp offers easy access to and from the water! We offer 20 boat slips that can accommodate boats up to 30 feet. All slips are covered with electric. 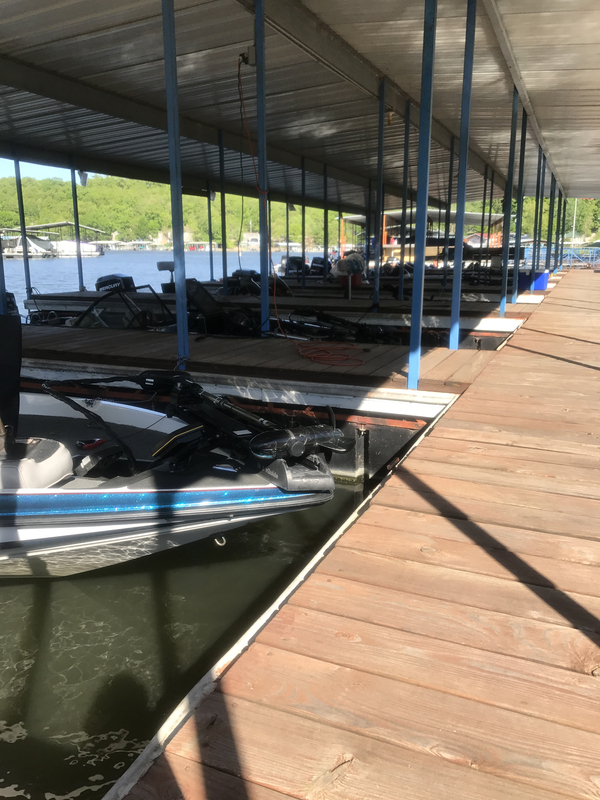 Let us know if you are bringing your own watercraft and need to rent a boat slip! 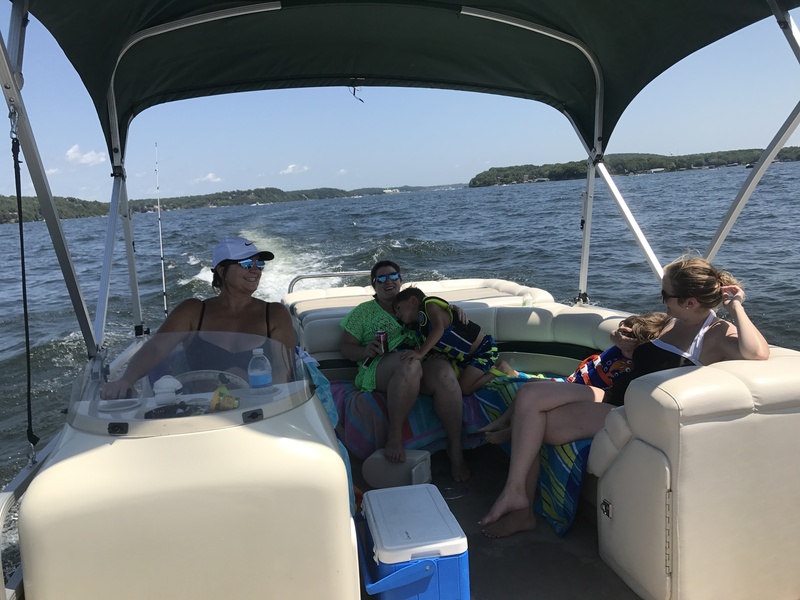 Boat slip rental $15 per day. You won't have to go far to enjoy a day of fishing from one of our docks. 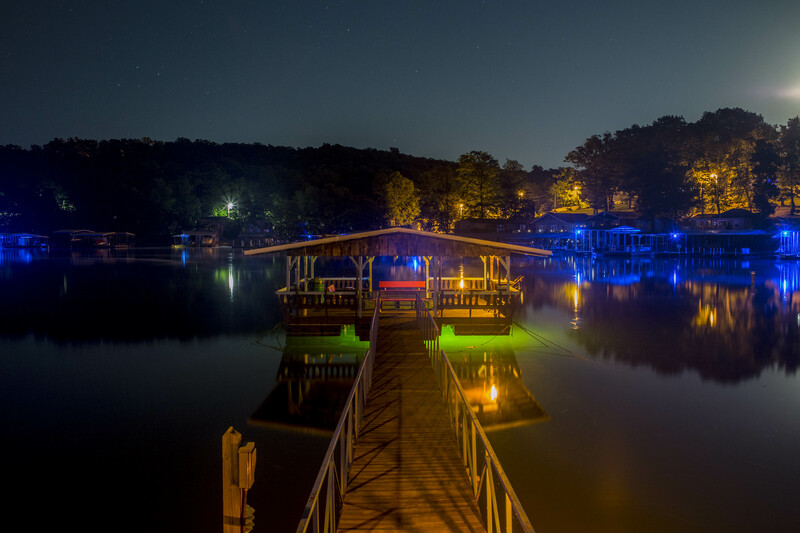 We have a covered fishing dock that boasts some of the lakes largest crappie! 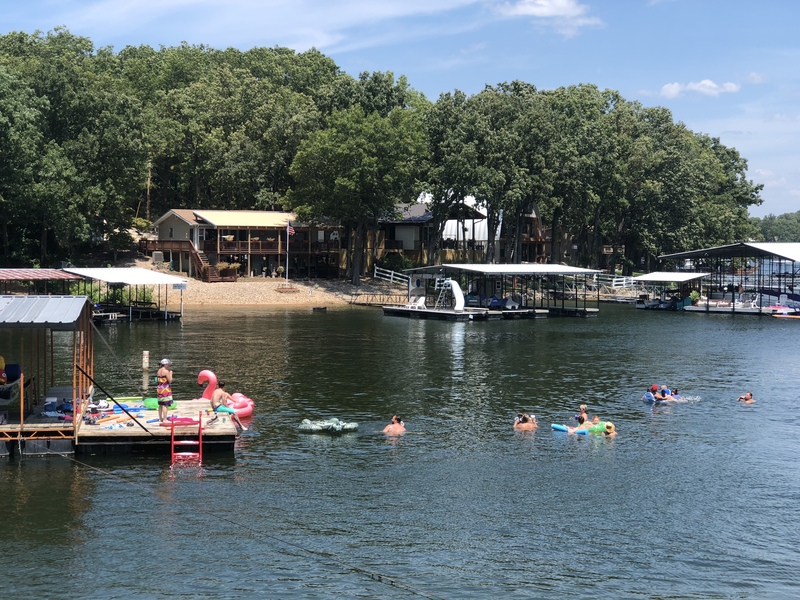 Tie out a float or swim from our lake swim dock! A new Wetsteps ladder was recently added for easy exit from the water! 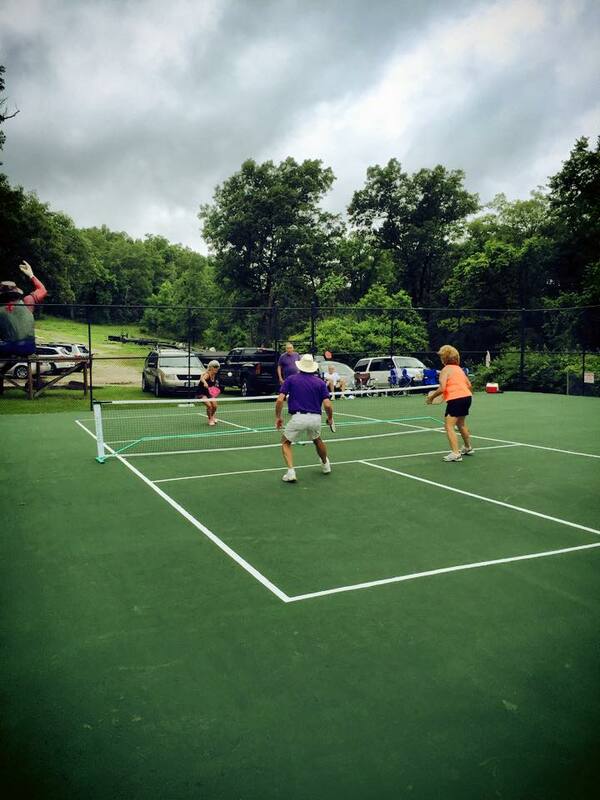 Bass Point offers a full-sized tennis court set up to also include 4 pickleball courts! Bring your own gear, or you can find everything you need to play in the Bass Point Office! 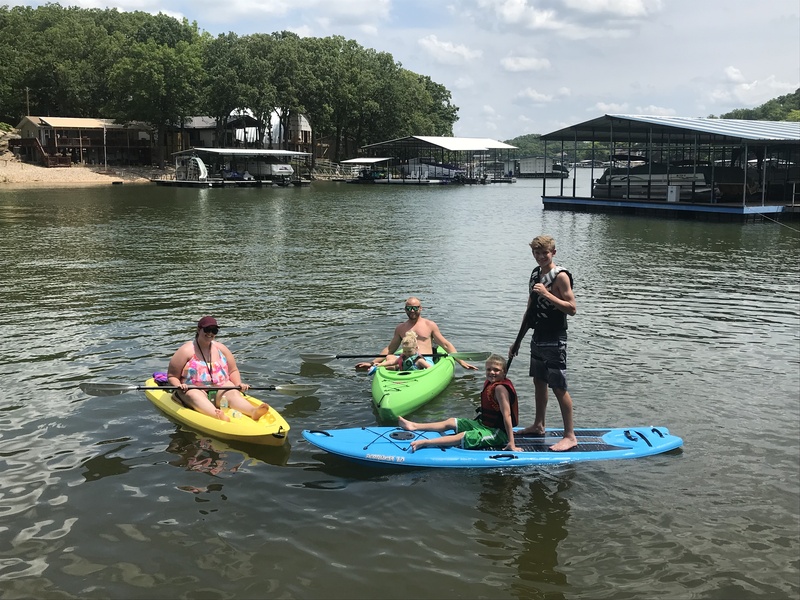 Get out on the water by renting a kayak or stand up paddle board! 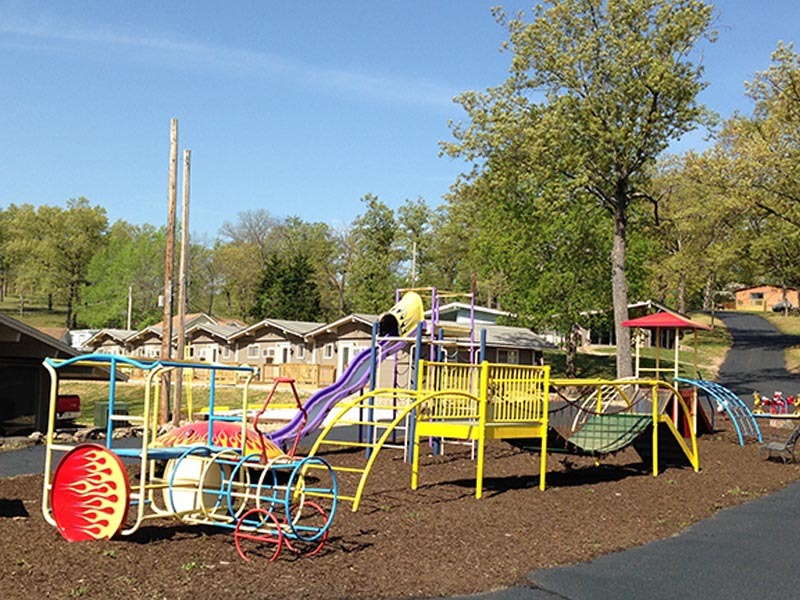 Kids love our vintage playground, and the kid in you will want to join them! The arcade is a great place for the kids to have their own space. 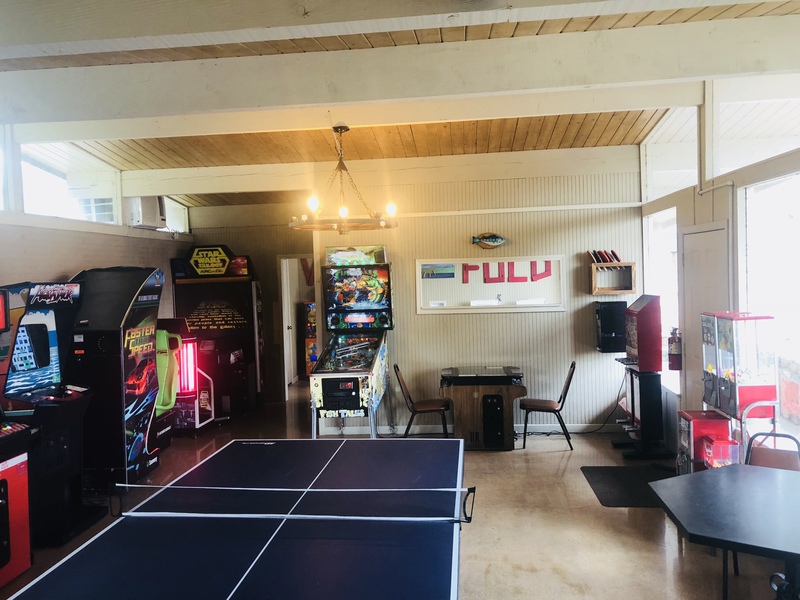 We offer a variety of arcade games, pinball and a ping pong table. Great spot for a rainy day! 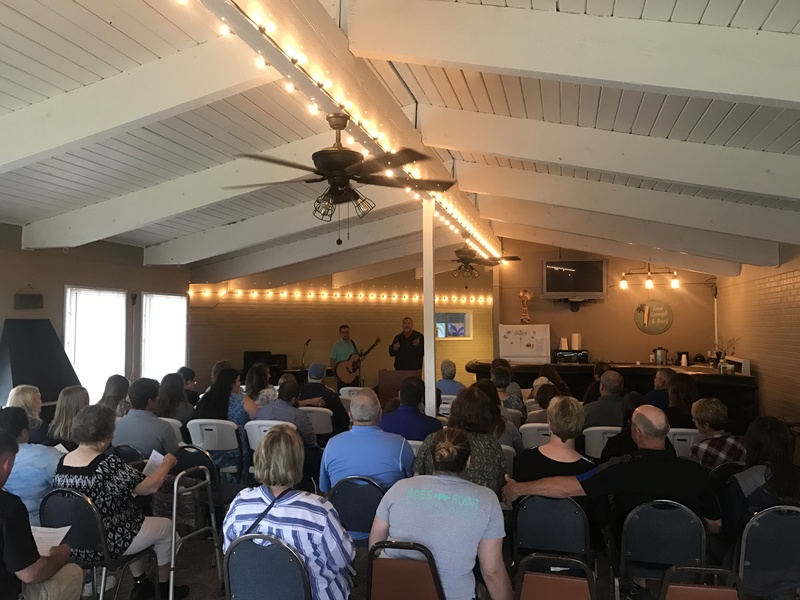 Gather the gang in our entertainment space, complete with a full kitchen, bar, bluetooth speaker system and large BBQ Grill and pellet smoker. Large round tables and chairs are provided to comfortably hold 50 guests. $100 per day. Reservations required. No lake trip is complete without s'mores around the fire pit. Gather around one of two fire pits on-site! 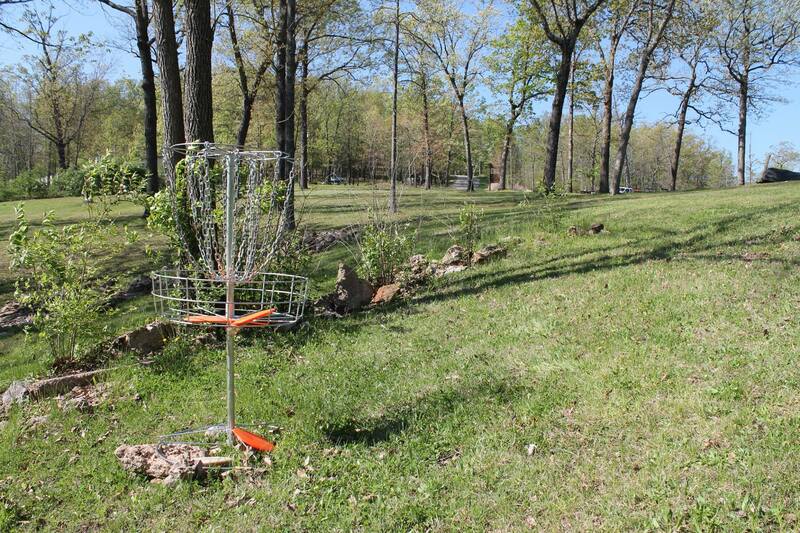 Grab a buddy and play a round of disc golf on our 4 hole course. Bring your own discs or help yourself to our collection in the office. 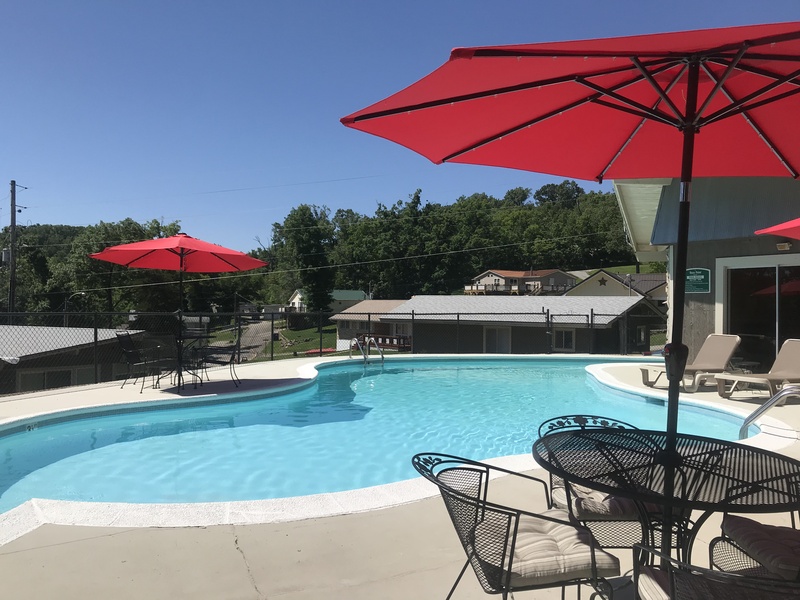 Throw a game of horseshoes during your stay! 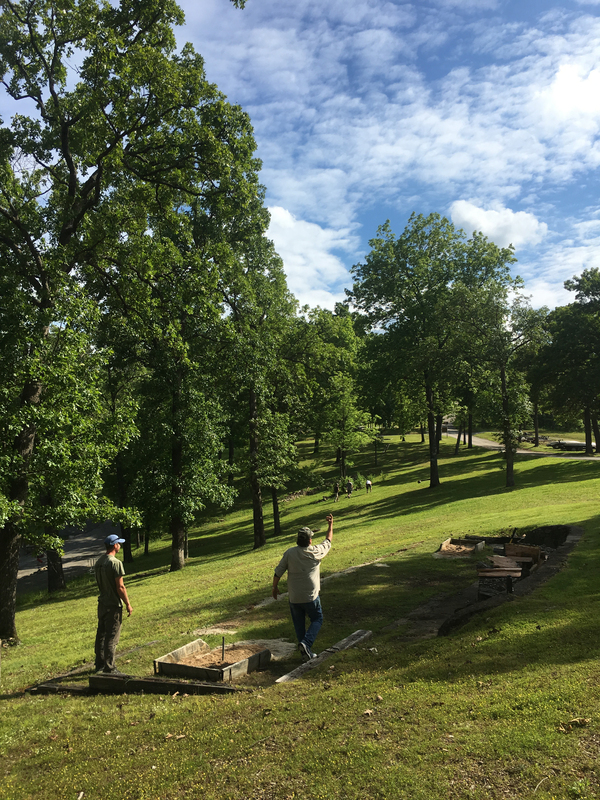 The horseshoe pit is located within the frisbee golf course. 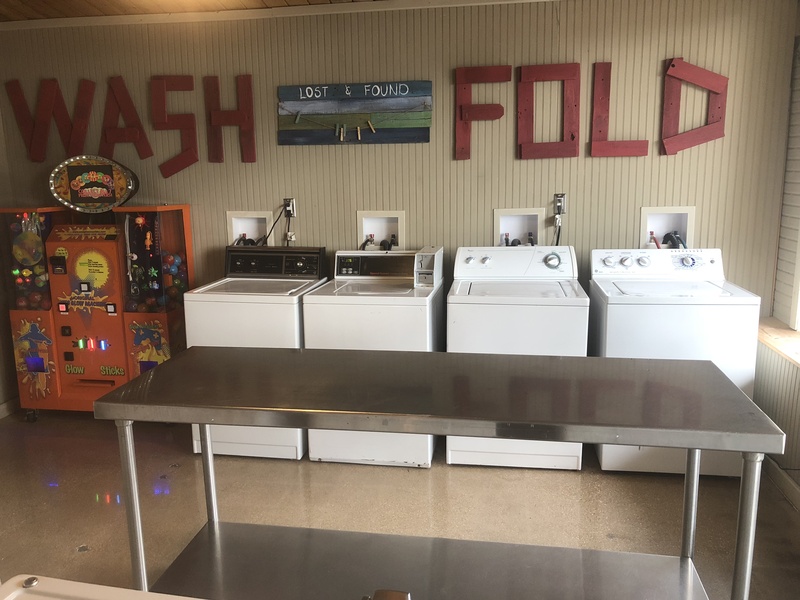 Coin operated laundry facilities located in the arcade. A flat screen TV with cable is located in each cabin. WiFi is accessible throughout the property for a charge of $10 for your entire stay.